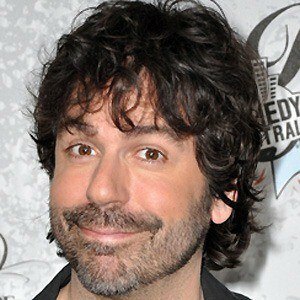 Former stand-up comic who appeared on a variety of Comedy Central roast specials, as well as TV programs like Tough Crowd with Colin Quinn. His one hour special, Midlife Vice, premiered on Comedy Central in 2009. He grew up in the Bronx to a Colombian father and a Spanish mother. In 1990, he obtained his law degree from Harvard Law School in Cambridge. He had a tattoo on his left forearm that read 525. He never really addressed its meaning publicly, but members of the media speculated that it had to do with his struggle to stay off drugs. He was married twice and divorced his second wife, Maryann Giraldo, in 2009. The couple had three children. He helped roast many top-tier celebrities throughout his career, including former Baywatch babe, Pamela Anderson.